We strongly believe that the automotive business is as much about people and their relationships as it is about vehicles. We have grown an automotive consultancy built around a team of highly motivated people who are specialists in all areas of the automotive market. They possess a deep understanding of the challenges manufacturers and dealers face in today’s highly competitive environment, together with the insight needed to succeed. We believe in providing excellent service that is both responsive and reliable. Meet our Senior Management Team who would be delighted to answer any questions you may have about our products, bespoke software solutions or automotive consultancy services. Seamus joined the senior management team at Qube in April 2013. With 30 years’ experience in the automotive industry Seamus has an impressive knowledge of the intricacies of the automotive market. He has held senior management roles at both manufacturer and dealer group level. Prior to joining Qube Seamus spent 5 years as Operations Manager within Toyota GB head office managing both Trade and Bodyshop programmes including specialist projects. Having been based “up North”, Seamus has recently made the big move to Kent with his family. His spare time is taken up with sorting out his new house and listening to dubious 80s music. Richard has developed web-based reporting systems across the world. 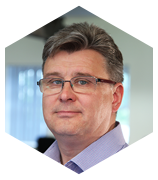 He has spent the last 26 years specialising in data processing and Management Information reporting, the last 15 of which have been in the automotive sector. This includes building multi-language and currency web-based systems for many major clients. Richard is highly proficient at data extract routines, database development and reporting website solutions. 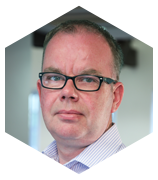 Prior to working for Qube, Richard was based in the USA developing sales reporting systems for a multi-national financial corporation. Richard likes to spend his spare time on the football pitch, coaching his son’s local football team or walking his dog. 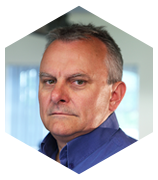 Matt is a founder Director of Qube with over 20 years’ experience working with automotive clients. He specialises in database and web design and has in depth knowledge of our interfaces to the Dealer Management Systems (DMS) across the UK and Europe. He has worked with many motor manufacturers on DMS data capture and bespoke reporting systems across the UK and Europe. Prior to Qube, Matt worked within the ﬁnancial sector developing financial reporting systems for Unit Trust and Investment Funds. In the office, Matt shuns the title of Director and prefers to be called “Chief Nerd” or “Captain my Captain”. At home Matt spends his spare time cooking or taxiing his daughters around. He likes shooting and is a frequent visitor to the local hostelry where he can be found trying to convince the other patrons that he invented the internet. 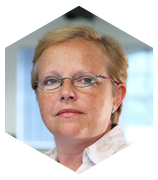 Liz has a wealth of experience in both the property and automotive industries, including 14 years as a Director with an international consulting firm. She joined Qube in 2012 and specialises in Project Management, Procurement and Business Development. She has managed Qube’s European accounts since the launch of our multi-language and multi-currency product. Liz is responsible for all things financial, which is unfortunate since she doesn’t like spending money. In her spare time, Liz enjoys walking in the countryside and skiing when she is allowed to take a holiday. 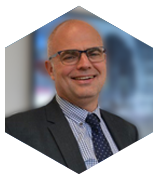 Mark has considerable experience in the automotive industry having worked initially in the motor factor sector which included running his own successful motor factor business. Mark then moved to the franchise parts side of the business with Ford Motor company developing their trade parts programme using his experience to steer the programme direction. Later joining Toyota for a total of 13 years which resulted in him running their trade parts division for five years. Joining Qube in 2016, Mark brought all his years of experience to help support and develop Qube’s business, to date he has been working with several major manufacturers including Toyota, Lexus and Nissan. As for hobbies and passions, Mark is an avid supporter of Tottenham football club being a season ticket holder with all the ups and downs along the way. He is also keen on cooking and specialises in both Italian and Indian and when time allows is a keen walker at weekends. 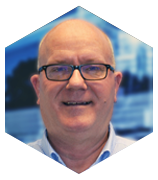 Lee brings more than 30 years’ experience in IT to the company, together with expertise in Project Management and delivering structured ICT programmes to support Business Change strategies. Lee has had a lifelong interest in all things automotive and enjoys providing the highest level of service to our automotive clients. Contact us today to find out how our solutions and products can transform your automotive business.